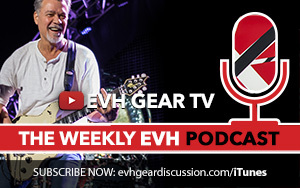 In one of my recent videos, I believe it was hooking up my iPad to my EVH 5150III Microstack, I had mentioned I was not a fan of modelling software or modelling amplifiers for that matter. I am finding I am quickly changing my tune. About a year ago, I had purchased BIAS Desktop from Positive Grid for my Mac. I had also purchased the apps, BIAS and JamUp Pro for my iPad. I used the iPad apps for a while, and only used the Desktop software for one song. I liked it (loved it) back then, but I let problems with my recording software reflect my experience with the BIAS software, and there was zero problem with BIAS. But at the time, I pointed blame where it seemed easiest. In fact, I had some weird recording delay set up, and I thought it was a latency issue, and I gave up on trying to figure it out. I have re-discovered BIAS Desktop and sorted out my issues with my DAW (recording software), Logic Pro X on the Mac. BIAS works as a plugin in Logic (and also now comes as a standalone app too). It’s forcing me to accept these bad notes and improve them immediately. I highly recommend this product (for both PC and Mac) and IOS as well. I plan on doing some videos very soon showing some of things the software can do. I am no expert on it, that’s for sure, but will show you what I know about it.